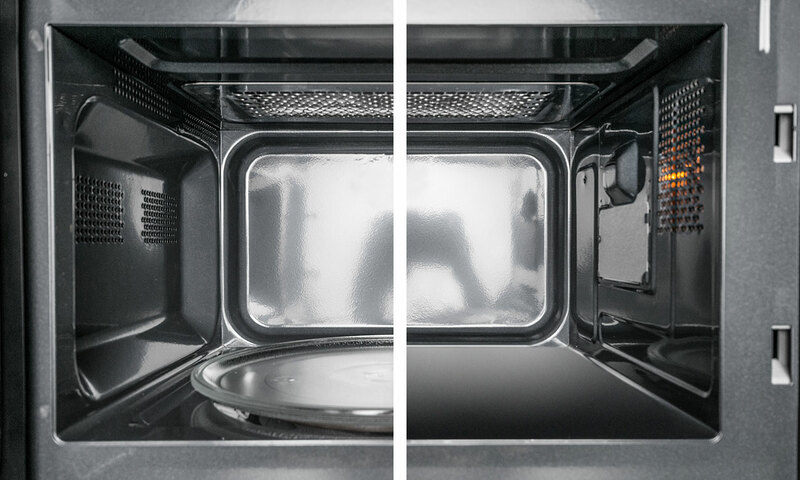 Our new, tougher microwave tests have uncovered some excellent low-cost microwaves, but is it worth splashing out on extra features? Our latest microwave tests have uncovered six Best Buys, and we’ve found some great-value options, too. We’ve also retested a couple of popular older models that are still widely available, including the Daewoo KOR6AOR (£50) and Russell Hobbs RHFM2363S (£100), to see how they measure up in our new, tougher tests. The best models will cook, reheat and defrost food evenly, without robbing it of moisture, so you get a succulent, tasty and perfectly cooked meal. But you’ll also want to be sure they are spacious enough to fit your favourite dinner plate through the door, and easy to set when you’re in a hurry. 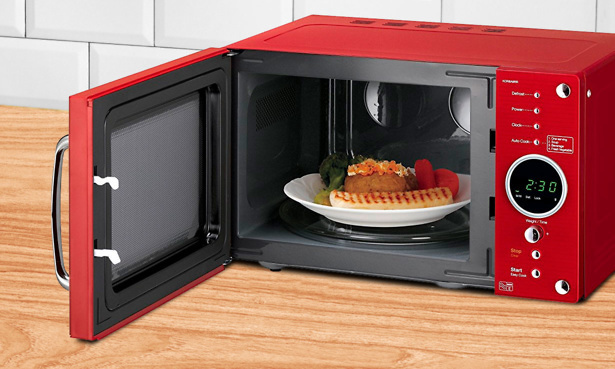 Head to our microwave reviews to see the latest results and find your perfect microwave. If you only use your microwave for reheating and defrosting, a microwave-only model is probably all you need. This type of microwave is also the cheapest to buy, with prices starting from around £40. Spend more and you’ll usually get a more stylish design, larger capacity, and automatic programs for defrosting or reheating specific foods such as pizza, soup or vegetables. If you don’t want to spend all evening in the kitchen, look for a model with multi-step cooking, such as the Morphy Richards Accents (£99). This type of microwave can be programmed to go straight from defrosting to cooking, without you having to intervene after you’ve pressed start. 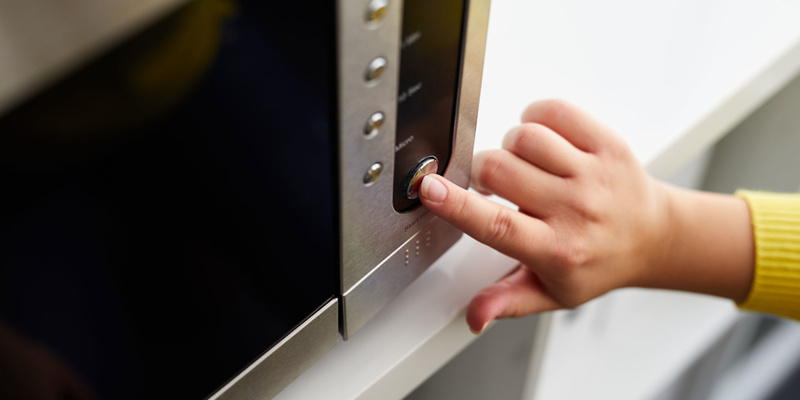 Do you need a combination microwave? Plenty of people only use their microwave for a quick reheat or defrost of the next meal, but many models can do more than you think. Traditional microwaves won’t brown food, but if you opt for a combination microwave, you can achieve browning, crispness and more. Combi microwaves usually cost upwards of £100 but can also cook using fanned hot air and a grill, so you can use a combination of microwaves, convection heat and grilling to cook and brown your food. From crispy skin on your roast chicken to a fresh batch of golden-brown cupcakes, a combination microwave can act like a second mini oven when you’re short on space. 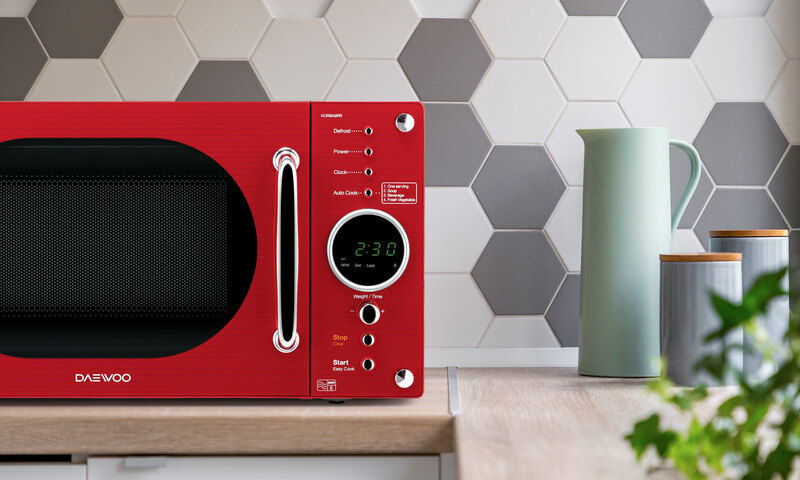 Only one model from our latest test scored well enough to be a Best Buy though – see our combination microwave reviews to find out the best new combi model. The other factor to consider is whether you want a turntable or flatbed model. Turntables are still more common, but flatbed microwaves, which don’t have a turntable to help evenly distribute the microwaves, are increasingly popular, and there are even relatively cheap options now, too. Flatbed microwaves will usually have more room inside and fewer awkward gaps to clean, thanks to the lack of turntable. They are more practical if you like to cook using square dishes or oblong dishes, as you won’t have to worry about the corners bashing into the walls as they turn. Sound appealing? See all our flatbed microwave reviews. Steaming, as opposed to boiling, can help to retain water-soluble vitamins, as well as keeping food moist while it cooks. Some microwaves, such as the Panasonic NN-DS596BBPQ combi (£315) have a dedicated steam setting, but you can use any microwave for steaming using a microwave-safe steamer. We’re constantly reviewing the way we test to make sure that it reflects the way you’re likely to use your microwave at home, which is why we now test how well microwaves steam-cook food. We found that not all microwaves steam equally well – a couple of models overcooked our salmon while leaving our potatoes too firm to eat. If you’re keen to steam food in your microwave, check our microwave reviews to ensure you get the best microwave for the job. Prices correct as of 26 March 2018.